Eleanor Skelton blogs at eleanorskelton.com, is the news editor of the UCCS student newspaper, and is majoring in English and Chemistry. The following was originally published on Eleanor’s blog on March 12, 2015, and is reprinted with permission. In July 2014, Ashley came over to my apartment to visit one Saturday morning. 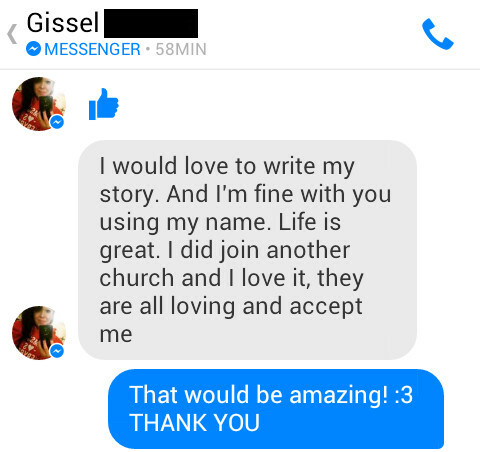 Then Ashley got a text message from Gissel, one of her friends from the Pentecostal church she’d left six months ago. Gissel was on her lunch break at work, so Ashley and I drove over to get her. On the way to her dad’s house, Gissel explained she already planned on going to live with her grandmother in Texas. The night before, she’d stayed out with her boyfriend and a group of other friends until past midnight. She discovered her dad had locked her out when she tried to come home, even though he’d never enforced the curfew he set for her older brother and his girlfriend. Gissel kept asking why it was different for her as a girl, why she was being punished. One of Gissel’s younger sisters let her in the house so she could get her suitcases already packed for her move. We put them in the trunk and drove to Ashley’s house. The rest of her siblings watched us from the window, huddled together. Ashley told Racquel what had happened and that Gissel would be staying over for the rest of the week until she flew out of town. Gissel went back to work for the day, and we picked her up that evening. She was quiet. Reality set in. Silent tears slipped down her cheeks. There was no home to go back to now. We hugged her, asked her if she was ok or needed to talk. Told her it was ok to be sad, ok to cry. Later she sat next to Ashley on the couch while we watched anime and the first Pirates of the Carribean movie. 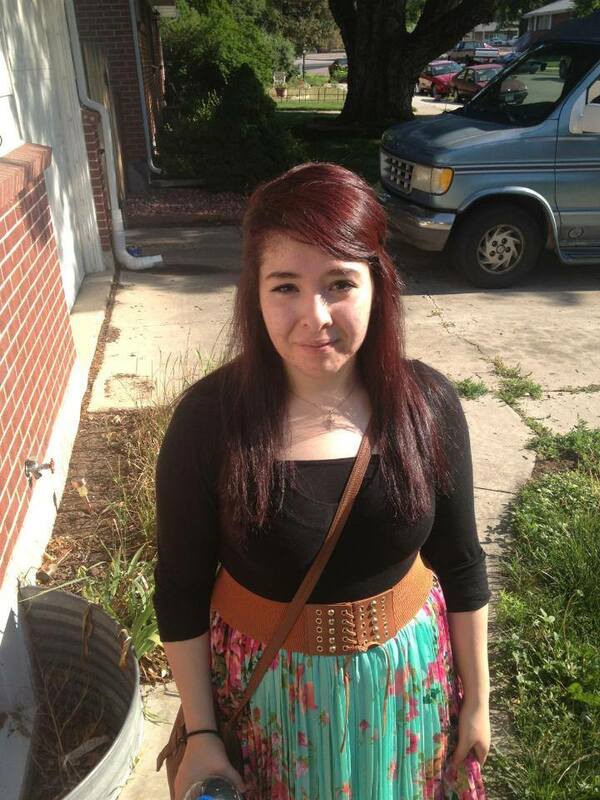 Ashley helped her dye her hair that week, another thing that the church deemed sinful. Gissel started wearing a crucifix her dad gave her. He’d told her if she was going to leave the church and wear jewelry now, she might as well wear that. After Gissel left for Texas, we kept in touch. I asked her last fall how she was doing and if she would like to share her story. Now she is free, free to live outside the cage. I thought once Racquel and Ashley and the others that we’d moved out were free that excitement would dissipate, that everything would start to go back to normal. That the Underground Railroad wouldn’t need to keep operating. But Gigi reminded me that so many more are out there, waiting. Gissel studied social work at community college and works in a healthcare center in Texas. She also now cohosts a YouTube channel called Gen and Gigi.